Up to the TAASC - Technical Advisory & Assistance Support at Tinker AFB - S&K Technologies, Inc. 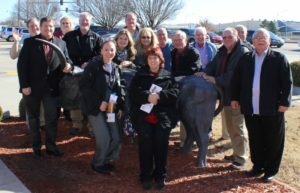 The S&K Global Solutions TAASC II Team in Oklahoma City, OK.
S&K Global Solutions is one of four contractors supporting the second iteration of the U.S. Air Force’s Tinker Advisory and Assistance Support Contract (TAASC II). This Indefinite Delivery/Indefinite Quantity (IDIQ) contract vehicle is an avenue for private contractors to provide general advisory and assistance services at three Air Logistic Complexes located at Hill AFB, Utah; Warner Robins AFB, Georgia; and Tinker AFB, Oklahoma. As projects are added to the contract, S&K Global Solutions competes for each task with competitive pricing and an experienced workforce. Advisory and Assistance services cover a broad range of specialties, all with the goal to support existing personnel and projects being conducted at the Air Logistics Centers. S&K Global Solutions offers a quick turn staffing solution with professionals that are highly qualified and require no additional training. Our personnel work directly with our Air Force customer on programs like the Engine Compartment Improvement Program (CIP) for the J85 T5 Engine Tester, B-1 Advisory and Assistance Services Program, C-32/C-40C Life-cycle Management, and high frequency global communications systems. B-1B Lancer over the Desert. 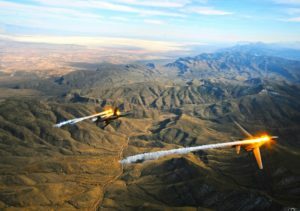 Courtesy US Air Force. When leadership at an Air Logistics Complex lets a new task, the four competing contractors must mobilize quickly to provide a pricing and technical proposal for the work. Speed of response, flexibility, and price drive task awards in this environment. S&K Global Solutions has the ability to understand the customers’ needs, translate it into a solution, and actively perform the work at a price point the government requires. “As a manager, there is no better feeling than when the Government Contracting Officers Representative overseeing your employee beams about their work, saying they provide ‘excellent support and the quality of their work is outstanding,’” said Roy. Kartik Saha, Program Manager with S&K Global Solutions, is one such employee. Kartik has provided program management support of the J85 T5 Engine Tester since the start of the TAASC II contract. In fact, he was the first employee hired for the effort. His actions have improved engine performance and reliability, gaining flight safety, fleet readiness, and streamlining engine maintenance while reducing maintenance costs. Embedded with the B-1 Integrated Battle Station Program, Journeyman Logistics Specialist Donna Warden coordinates with personnel in Texas at Dyess Air Force Base ensuring maintenance personnel had the necessary training schedule and support equipment quantity to maintain and service the B-1. The aircraft was scheduled to return to station after undergoing a major modernization program. 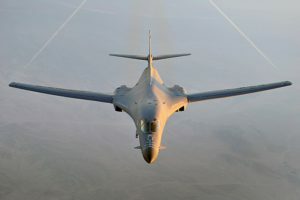 Integrated Battle Station Program is a combination of three different upgrades to the B-1 which includes a Fully Integrated Data Link, a Vertical Situation Display upgrade (VSDU), and a Central Integrated System upgrade. The VSDU upgrades the B-1’s forward cockpit by replacing two unsupportable, monochrome pilot and co-pilot displays with four multifunctional color displays, giving pilots more situational awareness data in a user-friendly format. Under another project, S&K Global Solutions Senior Equipment Specialist, Michael Gillespie, was deployed to assist in the return to service of a C-40C aircraft after the aircraft underwent a complete depot maintenance checkout. Michael provided over-the-shoulder inspection and verification of critical aircraft systems and functions. He witnessed the functional check flight of the aircraft and met with aircrew and maintenance personnel to discuss the performance of the aircraft. After a thorough review of the aircraft maintenance records and documentation, Michael provided his recommendation that the aircraft be returned to service. TAASC II is a wide ranging advisory and assistance support contract. S&K Global Solutions performs a critical function to the Government by recruiting and staffing highly qualified and trained individuals with hands-on experience that require no additional training. “Our strength as a company rests solely on our people-our number one asset. The real story is the people- we find good people,” said Roy.